Similar to your interiors, windows, and sidings, your roof should be given the same amount of attention when it comes to repair and maintenance. It is essential for you to take good care and be updated on the status of your roof to avoid potential costly damages. However, despite your care and preventive maintenance, there would still come a time that you will have to replace your roof. According to National Roofing Contractors Association (NRCA), contemporary roofing materials will likely last between a decade or two. In view of the given facts, the normal usable lifespan and the potential damages to your roof, outlined underneath are some of the additional signs you need to know whether or not there is already a necessity for a new roof. How long have you been using your roof and its roofing material? Such is the question you should first be asking yourself when thinking of a total roof replacement. As most experts would agree the age of your roof will serve as a good indicator of whether roof change is really needed. If your current roof is was installed over several layers of roofing materials and is older than 20 years, experts would highly suggest of having a new roof installed or roof replacement in order to preserve the integral stability of your home or building structure. Another thing to consider when planning to have a new roof is your roof board. If you happened to walk over your roof and noticed a spongy feeling or trampoline like experience, it somehow suggests that underlying decking is weakened from moisture. Apart from that, seeing daylight coming through the roof boards also points to the necessity of having a new roof for home or building structure. In evaluating whether a new roof is needed or not, you may also try to check if all the shingle tabs are intact. If you happened to notice part of a shingle that is missing, there is a greater chance that you will have to replace the whole thing, especially if the roof is quite old. 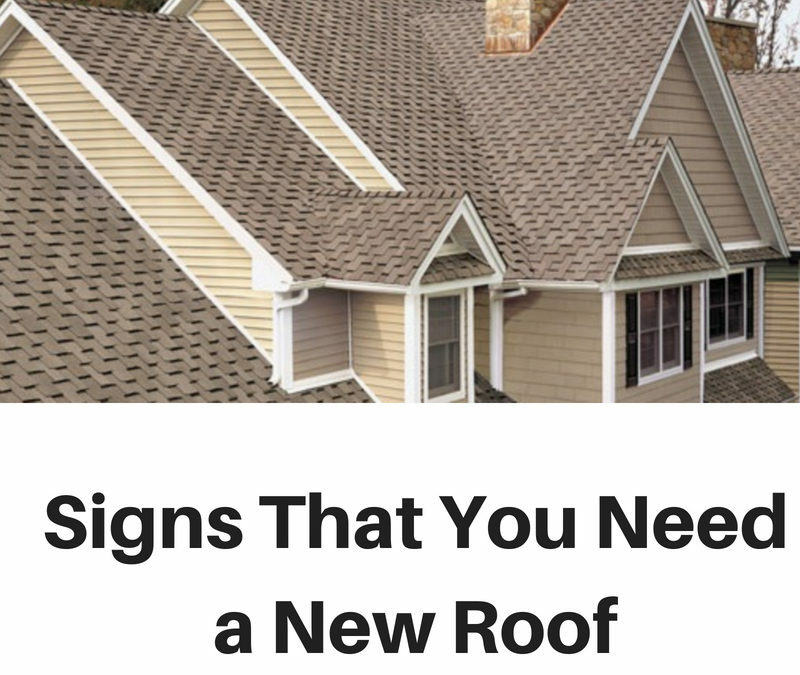 If you will simply ignore such basic signs in relation to your roof’s age, you will likely be spending more amount of money not just for the new roof, but to also cover for the damages brought about by your old roof that was not replaced for a significant period of time. There can be many issues when it comes to your roofing system. However, perhaps the most dreaded and costly action to take is having a new roof. That is why before you decide on a total roof replacement, you should speak with a local and trusted roofer in your community and have them review all your options before making the decision to get a full roof replacement. Call Carolina Storm Roofing – your local Charlotte roofing contractors, and we can help you determine whether or not you need minor repairs or a full replacement. Similarly, if you are in Iredell County, North Carolina, we are also an expert Mooresville, NC roofing contractor you can trust! Contact Us Today!